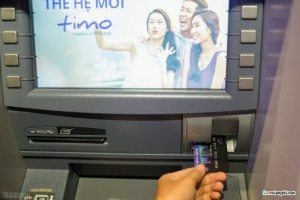 In 2002, according to Plastic Money, there were only nine foreign-operated ATMs (ANZ, HSBC, and Citibank) in the entire country with 79 locally-operated ATMs (all State-owned banks) and slightly more than 5,000 point-of-sale (POS) terminals across Vietnam. 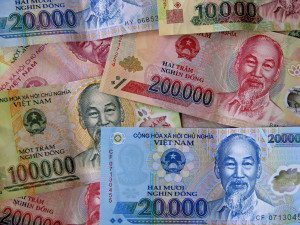 Between 2011-2015, the State Bank of Vietnam (SBV) promoted non-cash payments, which led to the installation of more than 149,000 POS in Vietnam by the end of 2014. In 2015, there were at least 170,000 POS devices across the country with consumers having access to 16,000 ATMs, largely concentrated in Hanoi and Ho Chi Minh City. Today, there are more than 17,000 ATMs across the country. 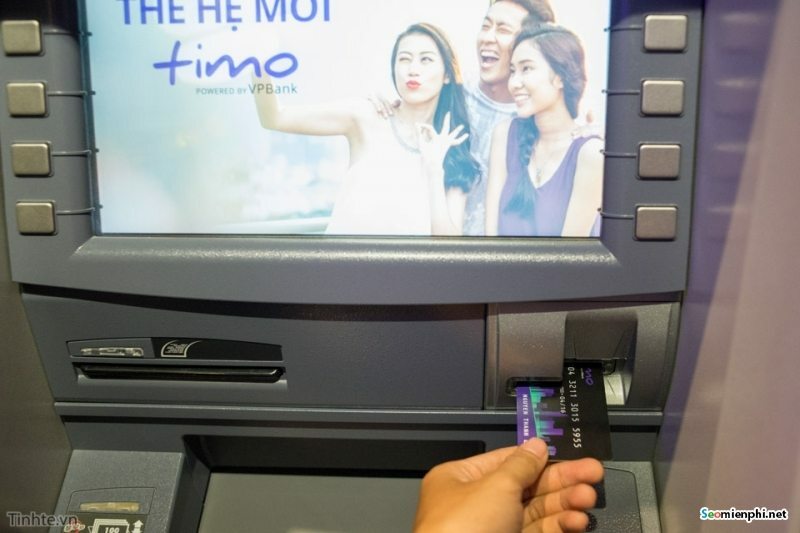 In short, Vietnam’s banking system added more than 1,000 ATMs each year since the Vietnamese bank card market was created in late 2002. Still, the majority of the country remains unbanked as, according to The World Bank, in 2014, only 31% of Vietnamese adults had a formal bank account in this Southeast Asian country of more than 90 million people. Thus, for the average Vietnamese consumer, the dominant form of savings is cash, jewelry, and gold kept at home, according to a 2012 working paper. For those who do have access to bank accounts, ATMs in high-traffic areas routinely run out of cash in the days leading up to Tết, the Lunar New Year. (It’s customary to pay off all debts and to prepare “lucky money” for family members and friends before the Lunar New Year begins.) Beginning several years ago, ATM trucks were sent out to industrial parks to meet the demand from workers in the run-up to the holiday, who number in the tens of thousands in these manufacturing and economic zones and are paid via cards—but prefer cash. Despite a low formal banking rate, digital banking and e-commerce adoption in Vietnam have increased in recent years. Remarkably, 94% of Vietnam’s internet population, comprised of more than 40 million, was shopping online in 2016, compared to 67% in 2015. Furthermore, there were almost 40 million active mobile internet users in 2016 with 19% of the population who reported using mobile banking services. Moreover, the global Vietnamese diaspora, known as Overseas Vietnamese or Việt Kiều—of which there are more than four million worldwide—sent $13.4 billion in remittances last year, according to The World Bank, almost as much as the $15.8 billion in foreign direct investment into Vietnam for the same year. With new money transfer services that have come online in recent years, such as Matchmove Pay or Cash2VN, Vietnamese consumers can receive remittances directly to their smartphones, even while out shopping. On the homegrown wealth side, by 2020, Vietnam’s population is slated to be nearing 100 million, with its middle class expected to number anywhere from 33 to 44 million, up from 12 million in 2012. 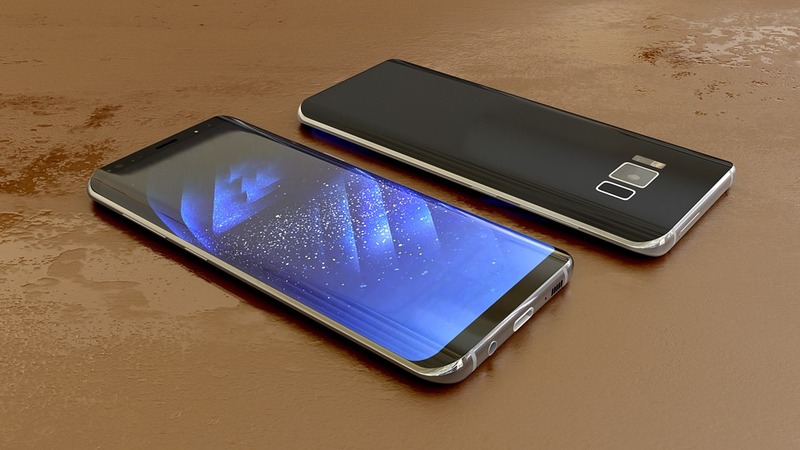 Eager to spend their newfound earnings, this segment of local consumers will be the target of emerging products and services offered in Vietnam—ripe for the adoption of FinTech via cross-promotion activities with established brands or incentives offered by new market entrants—all powered by smartphones. With new technologies available, it should come as no surprise that Vietnamese consumers have more options for where and how to spend their money than ever before. Take GoBear, a Singapore-headquartered startup that offers comparisons for credit cards, insurance, and loans. In 2016, the firm expanded to Vietnam, allowing consumers to compare almost 200 credit cards offers from approximately 50 financial institutions in the market. GoBear earns a commission from the provider that is chosen by the consumer via its online process. This “pay for impact” business model may become more popular in Vietnam since it increases transparency and information for consumers while they are making financial decisions. Additionally, financial inclusion efforts, i.e., serving the underbanked and unbanked, are ripe for opportunity because of how grand the challenges are. Today, there are 2.5 billion people in the world without financial identities. According to McKinsey Global Institute (MGI), 266 million of the “financially excluded” live in Southeast Asia, a portion of which reside in Vietnam. Furthermore, there are 39 million underserved micro, small, and medium-sized enterprises (MSME) in Southeast Asia, contributing to a $175 billion credit gap, according to MGI’s 2016 report. While some financial institutions, like VPBank, in partnership with Goldman Sachs Foundation and the World Bank’s IFC, are addressing these shortfalls in Vietnam, there is plenty of room for other players in this space since VPBank’s loan portfolio for MSME is expected to increase to more than $1 billion by 2020, with more than $160 million earmarked for women-owned MSME. Thus, innovative solutions that are pioneered to promote financial inclusion and access to markets and capital in Vietnam can be exported to the region and other parts of the world—and vice versa. Despite strong macroeconomic indicators, there remain many challenges to overcome for the adoption of new FinTech in Vietnam. There is a lack of confidence that permeates the physical and digital marketplaces between parties conducting a transaction; contracts are hard to enforce unless leveraging personal relationships. Even for e-commerce purchases, 85% of payments in Vietnam are cash-on-delivery because consumers want to inspect the quality of the goods before paying—again, a sign of the low level of trust in commerce. Furthermore, lax intellectual property protection enforcement in Vietnam makes brand dilution a risk for firms that emphasize quality and authenticity. Additionally, there can be a high cost (effort and time) for educating consumers on new business models and even new market opportunities, but reaching consumers is becoming easier. For example, while 55% of Vietnamese e-consumers rely on family and friends to recommend online shopping portals, 60% of Vietnamese Internet users learn about e-commerce websites through Facebook Ads. Looking ahead, it remains to be seen if Vietnamese Facebook users will develop something akin to “banner blindness” from being bombarded with Facebook Ads and the relentless promotion of products via the social media channel. Finally, regulation, which usually lags behind technology development, plays a major role in realizing the FinTech potential in any country. In Vietnam’s case, the public sector is aiming to turn Vietnam into a “startup nation” with an emphasis on the digital economy in order to help the country become a developed nation by 2020. In 2014, the Ministry of Finance (MOF) began piloting electronic invoices (e-invoices) with 200 enterprises in Hanoi and Ho Chi Minh City. In 2015, a new e-invoices pilot began with an implementation of a validation code. Before the pilot finished in 2016, more than one million e-invoices had been issued, a significant psychological milestone. Recently, according to PwC Vietnam, the MOF announced its draft roadmap for transitioning 80% of Vietnam’s businesses—of which there are more than 500,000 today—to e-invoices or e-invoices with verification codes by January 1, 2020, a challenging but attainable goal. Ultimately, digital invoices and payments increase transparency in the economy and in the state’s ability to collect taxes—as long as everyone follows the same set of rules. However, the rules have to be fair, clear, and equally applied to local and foreign entities in order to create a suitable space for FinTech to flourish in Vietnam. 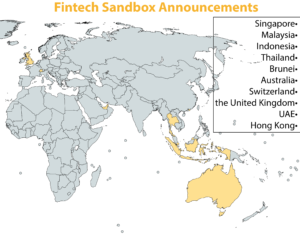 If Vietnam’s policymakers can create the successful conditions for experimental and innovative FinTech à la London’s “virtual sandbox” or Germany’s “regulatory level playing field”, then financial institutions, startups, and consumers will be able to actualize the promise of FinTech in Vietnam sooner rather than later. 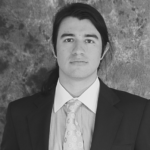 Andrew Rowan is an American entrepreneur who currently lives in Hanoi, Vietnam. Prior to moving to Hanoi in 2014, Andrew lived in Ho Chi Minh City for one year where he worked as a tech consultant and plunged into Vietnam’s startup scene. As Director of GKTA Group, he established a partnership with the €11 million ($12.2 million) Finland-Vietnam Innovation Partnership Program (IPP), which accelerates growth for startups originating from Vietnam and is supported by the Governments of Vietnam and Finland until 2018. Andrew regularly collaborates on innovation and entrepreneurship initiatives in Vietnam with the U.S. Embassy in Hanoi, as well as with Vietnam’s Ministry of Science and Technology (MOST).